For more than twenty years, the Federation of the Urban and Rural Poor (FEDUP) has pioneered a collaborative solution that can transform our cities: empowering poor people to help themselves, teach themselves, and develop themselves. FEDUP has empowered hundreds of communities to start savings schemes, develop their own knowledge and capacities, build houses, and acquire land. Together with its partners in India – the National Slum Dwellers Federation and Mahila Milan – FEDUP has been the driving force behind the internationally recognised global alliance of 33 country-level federations, Shack / Slum Dwellers International (SDI) . FEDUP has encouraged and supported savings groups and helped to establish and strengthen federations in Angola, Brazil, Ghana, Kenya, Madagascar, Malawi, Namibia, Uganda, Swaziland, Zambia, and Zimbabwe. SDI and its affiliates are pragmatic and collectively responds to poverty. They are innovators and offer alternatives to evictions, spatial marginalization and exclusion. They are vehicles for advocacy and social change. They make up an internationally active grassroots political movement. FEDUP’s primary vision has been to ensure that the urban poor – and particularly poor women – gain full citizenship rights and become key actors in determining the development priorities and policies of cities. The Federation has worked to move both urban policy and poor communities away from crisis-led reactive interventions to gendered long-term partnerships in which the urban poor themselves play a key role as visionaries and partners in generating “win-win” solutions that create revised models of development. 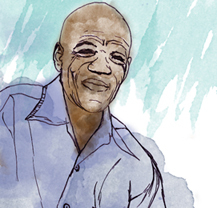 A new kind of social movement emerged in 1991 when the then-South African Homeless People’s Federation of shack dwelling communities interacted with slum dwellers from India. FEDUP has worked with the South African government since the dawn of democracy to find constructive, constituency-driven, solutions to the problems of the poor. FEDUP has reached critical mass consisting of some 1,500 autonomous savings and credit groups whose size range from a minimum of 15 to a maximum of 500 members. The Federation model says to communities that if they save small amounts of money, gather information and then use these accumulated assets to negotiate with government they will not only have a better chance of securing entitlements, but also will also capacitate and strengthen themselves. Furthermore, they will earn the full rights of citizenship, including the right to participate actively, contribute and own the developmental outcomes that they themselves have identified. 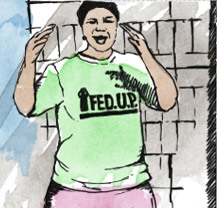 In 2009, FEDUP merged with another savings network known as Poor People’s Movement (PPM). PPM is most active in Namaqualand and the Northern Cape but has expanded into several other provinces. These days FEDUP and uTshani are still actively building houses and engaging government on the re-directing of housing subsidies to support people-centred, participatory and empowering development. Being strategically aligned to the Informal Settlement Network (ISN), FEDUP members are adding years of experience to the relatively new experience of informal settlement upgrading. The creative synergies at the intersections of a woman’s movements anchored in daily savings and livelihood strategies and a predominantly male-led and broad based social movement are redefining the social mobilisation “rituals”.